August 2010: A lot of things are toxic to cats or it seems that way. I wonder if more things are toxic to cats than humans. I don't think so. We just have to think more about what is toxic to cats as we are their caretakers. That said, personally, I have never been confronted with a case of a substance being toxic to a cat other than flea treatments. On one occasion many years ago, I used a spray on my Missie. She licked it and foamed at the mouth - straight to the vet. She was unharmed but never again. "Spot on" flea control products (putting a drop on the skin) can be very poisonous if we don't read the instructions and for example put a flea treatment made for dogs on cats. That can lead to permethrin poisoning. This can kill the cat and causes severe tremors, salivation and seizures in cats. I have already mentioned poisons. We should take great care when applying chemicals to our cat by reading the instructions. It is interesting to note that the instructions include a reference to how the flea treatment can cause irritation (and worse?) on our skin! What about the cat? See also Flea Treatments Can Kill. I have built two pages on this some time ago: Plants poisonous to cats and also Houseplants poisonous to a cat). This page mops up some of the lose ends to make the list complete. Here is a list of foods that are toxic to cats: Alcoholic beverages, Avocado, Chocolate (all forms), Coffee (all forms), Fatty foods, Macadamia nuts, Moldy or spoiled foods, Onions, onion powder, Raisins and grapes, Salt, Yeast dough, Garlic, Products sweetened with xylitol. Pop-top cans may be lined with a chemical that is poisonous to cats and humans (potentially). This is a problem that exists in Europe, the USA and quite likely elsewhere. The Independent newspaper reported on this, recently (April 2010). The authorities in Britain have said it is OK. The USA is more concerned about it. The chemical is bisphenol-A. This chemical may cause hyperthyroidism in cats. A 2004 study reported in the AVMA Journal (Edinboro, et al.) showed a correlation between the use of pop-top cat food cans and the subsequent development of hyperthyroidism. Lawn care chemical, 2-4-D, 2,4-Dichlorophenoxyacetic acid (2,4-D) is a common systemic herbicide used in the control of broadleaf weeds. It is the most widely used herbicide in the world, and the third most commonly used in North America1. This chemical is used to improve lawns. Cats go on the lawn and then lick themselves. The chemical may cause health problems in cats and humans such as cancer (lymphoma in dogs and humans). Personally, I would not mix lawn treatments with outdoor cats. Insecticides can harm cats. Cats are sensitive to chemicals used in insecticides such as organophosphates and permethrin - moreso than dogs. These chemicals can be found in garden products. Great care, it seems, needs to be applied when dispersing these products if there is a cat in the family who is allowed out. Please read Joyce's article on mothballs poisoning cats. Mothballs are very toxic to cats. We lost 4 cats in one week by mothball poisoning. Phenols, chemicals in some floor cleaning products can be toxic to cats. In the USA these products include: Lysol and Pine-sol. Cats walk on freshly cleaned kitchen floor that has not been rinsed and dried. They lick themselves clean and ingest the chemical. Bleaches causes salivation and vomiting due to ulceration. Rat or mouse is killed by a poison laid down by cat caretaker. Cat eats rat or mouse. Cat is poisoned. Read more: Will rat poison kill a cat? Don't administer pain relief to cats without strict veterinary supervision. See Feline Pain Relief. For example, aspirin in toxic to cats. These cause vomiting, lack of balance, tremors, seizures and irregular heartbeat. In improperly glazed bowls and poorly manufactured toys for example. Poisons the cat cans caused vomiting, muscle spasms, hysteria and blindness. You are so right Joyce. Around Christmas time we always get a lot of questions about how to keep the cat from climbing the Christmas tree. 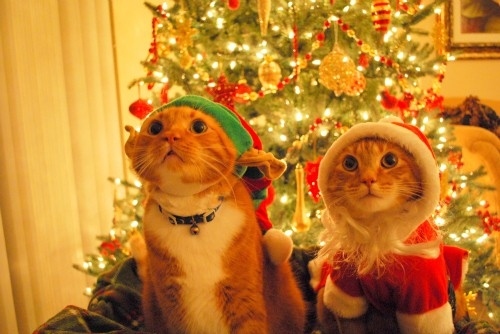 These people have no thought that it's the cats Christmas too and to make the tree cat friendly. It always worries me the number of people 'advising' the asker to hang moth balls around the bottom of the tree ! Keenpetite I'm so sorry for the loss of one cat and the illness of another. Even buying medication at the vets instead of other places these days isn't 100% safe and it scares me a lot. Most vets here recommend a drop on the back of the neck flea treatment monthly in the Spring and Summer but that to me is overkill and putting too many chemicals on the cat. Now there is drop on the back of the neck worm treatment too ! We usually do our cats once, in the Spring and they've been flea free this way for years. This year there was no sign of fleas so we didn't do it at all and they've never been bothered with them.They are groomed every day, they love it,we make a game of it and I'd notice any fleas or dirt in their white bits especially. When working for vets I trusted them implicitly but now it seems to be more about making money than anything else and that worries me a lot. Thanks for the comment keenpetite. Although I can feel the anguish. God, I know that these droppers are potentially dangerous but your story has made me anxious about using the stuff. I actually prefer simple manual combing using a fine flea comb regularly. That I think is the best way but it does take a bit of time and in the modern world time is short. WM, I picked a one drop flea product, placed it on Snuggles neck & within minutes she began to have a severe reaction. Promptly I grabbed a washcloth with Dawn liquid quickly but carefuly washed her neck, according to what vet had told us to do, As I was doing this we were rushing her to the vet. Fortunately we were able to save her & she lived to be 20 yrs old. Many thanks Michael, absolutely invaluable information now stored to my favourites. Thanks Ruth for that helpful thought. It is the kind of thing that can get overlooked. Michael that is a good and very helpful article amd may even save some cats lives. I just want to add one thing,ALWAYS check the expiry date on any treatments (such as drop on for fleas) as a few years back there was a spate of ill and dying cats because of out of date medication being sold by mistake. It can also happen if people have the treatment in the cupboard for a while and don't realise it's gone out of date. You can't be too careful ! 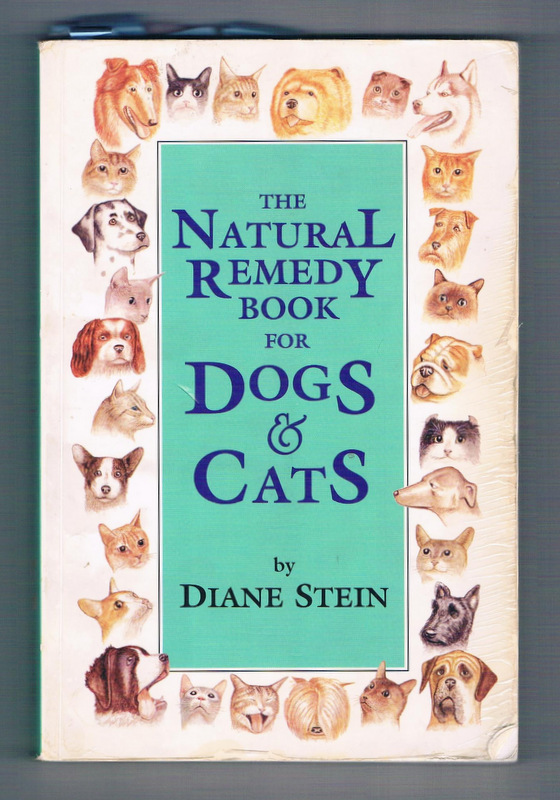 Dr. Pitcairn’s complete guide to natural health in dogs and cats. I can not take the time to show the research (science background and long gone to MCS groups), but having recovered from chemical injury end stage (almost died) and using all holistic means to recover (but can not be around synthetic products ever again) I started to research cat info. (had studied pre vet at one point). They are greatly harmed by “scented” kitty litter (most made from petroleum left over sludge and that includes your products as well) household cleaning products (on the floor – dogs are harmed as well), soaps, cleaners and the list is long. Our government does not require these to be labeled as the Pharmaceutical companies make many of these toxic products. Think Bayer Aspirin Bayer Pesticides. I am sorry this post was meant for a site using pvc and acetone and other glues for a cat bed. But good info anyway. Sorry again. Hi S. This is a good comment. Do you have the time to write an article on this subject? Thanks for commenting. Michael – my last post came before your reply. I, like many with chemical injury am kind a at the end of “my rope” (many homeless, living in tents, cars or dead – 29 – 39 million. Labor board keeps track as many are from construction and other fields that involve toxic products). I gave wall to wall floor to ceiling raw data research to a MCS organization (thinking they would spread the info around) but oops. So know but thanks for asking, I have no time to do so, am not in an area where I can do real research. But I wanted to reply so the “seeds” of information might garner others to do research on their own. Most all media btw is owned “by a few at the top” Rupert Murdoch and they along with our Government agencies set the standards (even if they cause much harm) in America today. Few states have a “medical freedom act”. Oh my….this made me smile and laugh and feel good. Hey, on a serious note do cats like ice cream? This looks like ice cream but I have just realised it is a coffee with cream on the top. They do like ice cream, I guess, because it contains dairy products. So, ice cream is not good for cats because dairy products are made from cow’s milk….Am I am being too serious? This is a fun picture. Thanks Caroline. oo-kayyy, Michael. 🙂 Thanks for the friendly reminder-that’s what I get for staying up all night making saltwater taffy, fruit jellies and caramels and Turkish Delight-I need a nap! lol. So, here is my favorite holiday card for everyone at PoC, featuring! not one, but TWO ginger tabbies. 😀 Happy, Happy Holidays to You all here at Pictures of Cats! Lovely picture and many thanks for wishing us all Happy Christmas. I’ll make a little page based on it. I especially like this for the goofiness of the photoshopped look with that wonderful ginger tabby expression. Makes me sing 😀 Merry Christmas to all, and to all a good night! Michael, I am going to work on an update to this list for PoC. Since I can’t upload pictures yet (hoping to buy myself a sync cord for Xmas:)), I thought maybe i could contribute this way. Should be ready tonight so hopefully you’ll rcv it via email early tmrw. Humans are allergic to raw garlic in large quantities, so it is no wonder that cats are as well. 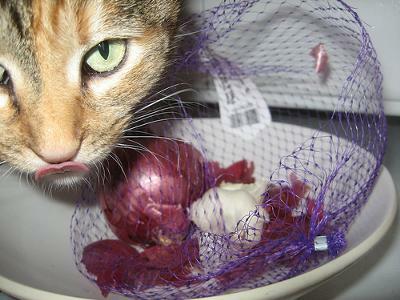 I wonder if the entire Allium genus is toxic to cats. I ask b/c I’ve neively used garlic to ward off little vampires on my cats in the past. Now I use Advantage II. Garlic does not work. should they both be avoided? I do know that 2,4-d is toxic to just about everything in our world. I’m a horticulture person and have grown my beloved antique and David Austin roses for decades. When I was married, my husband and I grew vinifera and French-American hybrid grapes. Hybrid teas and old shrub roses were planted solidly around the perimeter of the grape acreage to warn us of 2,4-d drift. (The leaves shrivel from cellular deformation–it’s a horrible sight, I hated it.) Cercis canadensis, the lovely redbud tree, a common sight in Nebraska, is very sensitive too to drift. I do not understand why it is allowed in the U.S. Seems like it is long overdue to be tightly restricted or maybe banned altogether. 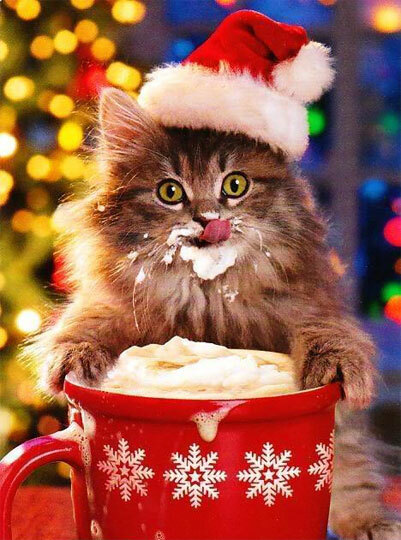 There is an adorable image of a fluffy kitten, paws wrapped around a mug of warm cocoa, caught off-guard with whipped cream on its whiskers and chin. I wish it carried the warning that kittens/cats should not be allowed near a latte or hot chocolate! Thanks a lot Caroline. A longer list would be very welcome.